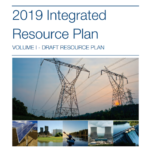 Posted by willil4 on Wednesday, January 9, 2019 in Energy, Events, FutureVU, GHG. The Vanderbilt Green Fund application for 2019 projects is now open until January 21st. The Vanderbilt Green Fund, established in 2011 by members of Students Promoting Environmental Awareness and Responsibility (SPEAR) and Vanderbilt Student Government (VSG), is a fund set aside for sustainability projects proposed by students or faculty. 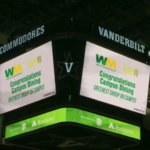 This student-run process awards $150,000 to innovative and educational ideas that make Vanderbilt more environmentally friendly. The Green Fund enables students, faculty, and administration to directly engage in the process of transitioning to a clean and sustainable energy future. 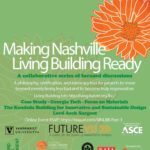 Any student, faculty, or group associated with Vanderbilt University can propose a project for consideration. Green Fund proposals are first evaluated by a student committee that is organized jointly by VSG and SPEAR. 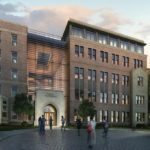 Top proposals are recommended by the student committee to the Green Fund Working Group, which makes the final funding decisions. The Working Group is comprised of students, faculty and staff. 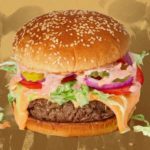 “The Green Fund gives students a way to propose ideas about how to make campus more sustainable. 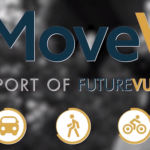 Thanks to a generous budget of $150,000 each year, a solid proposal can become reality. Past applicants have found it very rewarding to make a real, tangible impact on campus that can be felt long after they graduate, such as the Currey Tennis Center solar installation,” says Alex O’Shaughnessey, Vanderbilt senior and Green Fund Coordinator. Several Green Fund projects were implemented during fall semester. 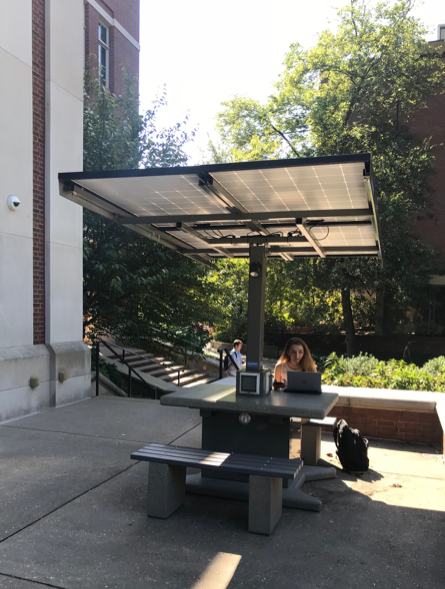 Three new solar picnic tables which use photovoltaic solar panels to power charging stations for laptops and phones were added to campus. Each table features a solar array, LED nighttime lighting, four 120 volt and eight USB charging stations, and two large benches for students. The systems will be able to provide 75-100 iPhone charges per day. The new tables were installed outside of Kissam Center, Highland Quad, and at the Commons Center. Additionally, three new bike repair stations were installed as part of the 2018 Green Fund cycle at Kissam, Rand, and Blakemore in addition to the pre-existing ones at Carmichael Towers, Highland, and Commons Center for a total of 6. 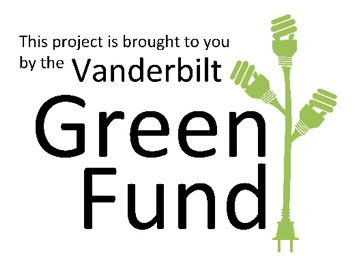 The Green Fund application is available on the Anchorlink page for the Vanderbilt Green Fund under forms. More information about proposal requirements is available here.